12 in '12 Linky Party! - The Resourceful Room! Now that I am finally relaxing and break has actually begun I'm ready to take a look back at 2012! 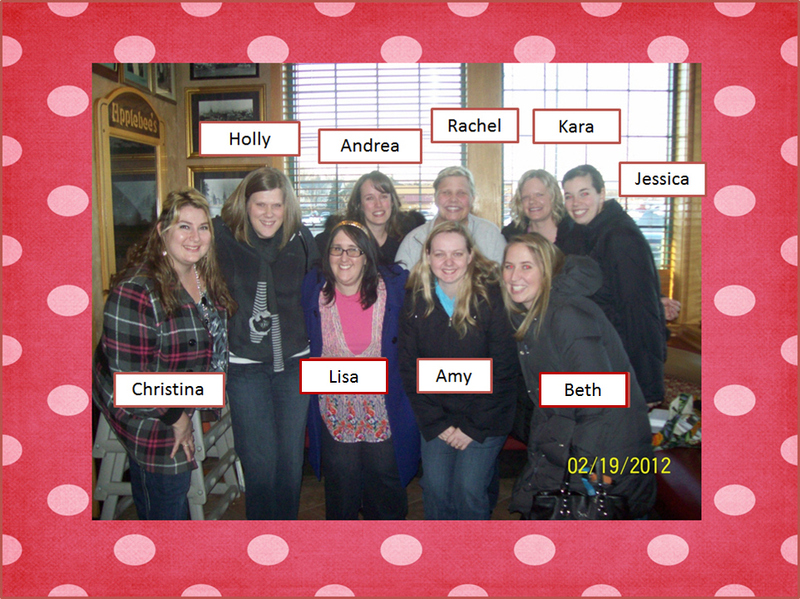 I'm linking up with Hadar and Kristin for the 12 in '12 Linky Party!! Great Movie, If you haven't seen it you defiantly should! My whole family watches this on Thursday night, my teenagers are addicted to it and were not at all happy when it did not come on on Thanksgiving. It's the only TV we "must" watch, and it's nice to have something all of us enjoy watching together. It isn't your family sitcom but it's still something teenagers can watch. There was not a Chipotle near us in Michigan so it was all new to us when we moved to Indiana, I think my husband would eat there every night if he could! I do think they have some amazing food, but I don't know if I could eat burritos every single night like he can!! Moving to a new state and starting a new job! I Love them both!! I always wanted to go back and teach in the school I went to as a girl, give back to the community that I came from and I feel blessed to have been able to do that but I feel equally as blessed to have found a place where my family is so happy and a job that I love going to everyday. It's not where I grew up but it's a great place to be!!! This scarf!! I love scarves, and the fact that my friend took the time to hand make me one means a lot to me! I got a couple new scarves for Christmas that I can't wait to wear too but this one is extra special! I have made this several times now! It is super easy, delicious, and gets so many compliments at all the carry in's I've brought it to! My husband requested it as his birthday dessert this year :) And of course it's food, I love pinning new recipes I've made some pretty good stuff this year that I would have never tried before pinterest!! The Pencil Dispenser post (click on the picture to read more). This was part of Tara's Monday Made it Series from this past summer! 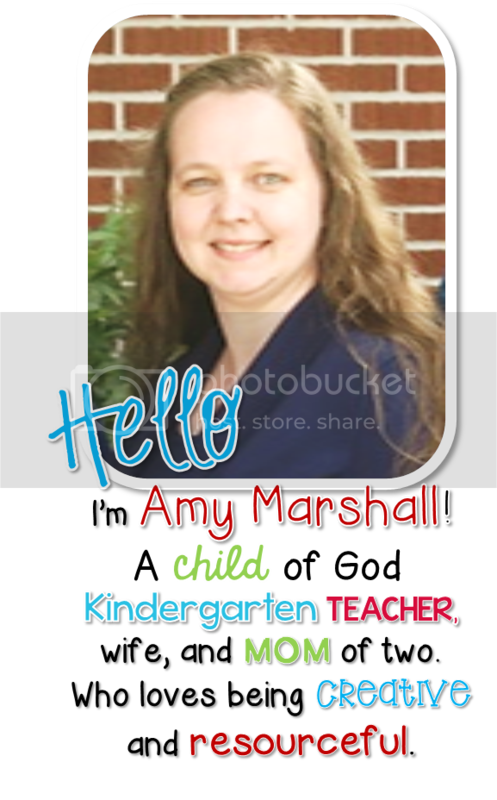 I had so much fun making things for my classroom and sharing it through the weekly linky parities!! This one drew a lot of interest!! Being choose ans Carson-Dellosa's first featured blog of the week!! My kids on a walk - there's a beautiful walking path down from our house that runs along a river. We had some great walks this fall, this day in particular we had so much fun just being together - it's a rare occasion they will cooperate for a picture like this!!! 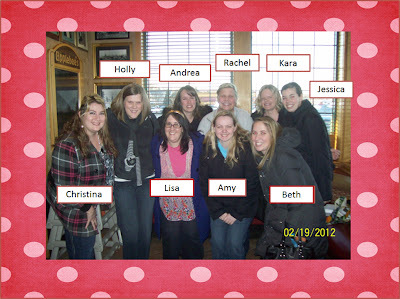 Meeting up with all my Michigan bloggy buddies! It's been almost a year ladies we really need to do it again!! Get my house organized and really settle into it! We moved this summer and I still don't have that "home" feeling, there are still some things in boxes and we have been up in the air about weather or not we would stay in this house (we were renting for 6 months before purchasing) or try to buy something else now that we are in the area and have a better feel for where we want to be. I hate being up in the air. I would like to get settled and rid my house of any and all boxes of stuff!! I'm a purger, my husband is a keeper, he has boxes and boxes of stuff that he will probably never use again! Drives me crazy!! Especially when it comes to moving! There's already enough we have to take I don't want to take anything extra!! Maybe just Maybe 2013 is the year I convince him to let go!!! PRAYER - God is in control of my life, last year my "word" was Let Go, and I think it totally made a difference for me to keep that in remembrance all year long! I let go of a lot of things and let God work - things turned out much better than when I was trying to make them all happen the way I wanted them to! This year I am focusing on finding his will and following him prayer is the key! I've already got it typed up and posted so I don't forget that each day needs to start with his direction! What a fun linky party! I enjoyed your pictures and definitely like your one word! I love Person of Interest and watch it with my parents. It's must see tv for our family is well. Happy Holidays! !